U.S. Treasury Department’s Office Of Foreign Asset Control (“OFAC”) is the government agency that is responsible for regulating, administering, and enforcing the various U. S. economic sanctions programs against the groups of individuals and countries that are viewed as being a threat to the United States. The Iranian Transactions and Sanctions Regulations, 31 CFR Part 560 (“ITSR”) is the body of rules and regulations enforced by OFAC against Iran. With exception to those transactions permitted under a GENERAL LICENSE, all US persons, including U.S. citizens, US. Permanent Residents, and companies owned by U.S. persons must inform OFAC and obtain pre-authorization to trade in goods or services from Iran, or engage Iranian professionals in Iran. 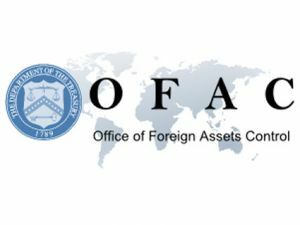 OFAC regularly updates existing regulations or issues new regulations on the Iran-related sanctions. Please consult us before-hand. The Law Offices of Shahin Motallebi helps clients across the nation to comply with OFAC rules and regulations imposed on U.S. persons intending to do financial transactions with Iranian nationals or institutions in Iran. Our OFAC services focuses on helping Iranian-Americans and any legal permanent residents of the United States with legal transfer of assets from Iran to the United States, and vice versa. The Law Offices of Shahin Motallebi is proud to have successfully represented clients in their efforts to obtain specific licenses in relation to US trade sanctions. Our firm works diligently to protect assets and rights of our clients. Given the vast reach of the OFAC regulations on Iranian transactions, many in the Iranian-American community may find themselves in violation of those Federal laws. Our law office makes it our number one priority to educate the Iranian-Americans on the current state of such laws and to protect all clients against any criminal and/or civil prosecution. OFAC & Iran Attorney serving Los Angeles, Beverly Hills, Studio City, North Hollywood, Santa Monica, West Hollywood, Culver City, Playa Del Rey, Venice, Pacific Palisades, Marina Del Rey, Sherman Oaks, Van Nuys, Encino, Universal City, Valley Village, Inglewood, Burbank, Tarzana, Toluca Lake, Panorama City, Pacoima, Topanga, El Segundo, North Hills, Reseda, Northridge, Glendale, Woodland Hills, Canoga Park, West Hills, and Winnetka areas.